On Saturday, the Eagles’ all-time leading scorer will marry former EWU safety Zach Bruce, then head to Finland to play professionally in the city of Espoo. The signing was announced Tuesday. Hodgins recently graduated with a degree in health informatics technology and management along with a minor in health services management, earning a 3.86 grade-point average while being selected to the Big Sky Conference Winter All-Academic team for the fourth consecutive year. 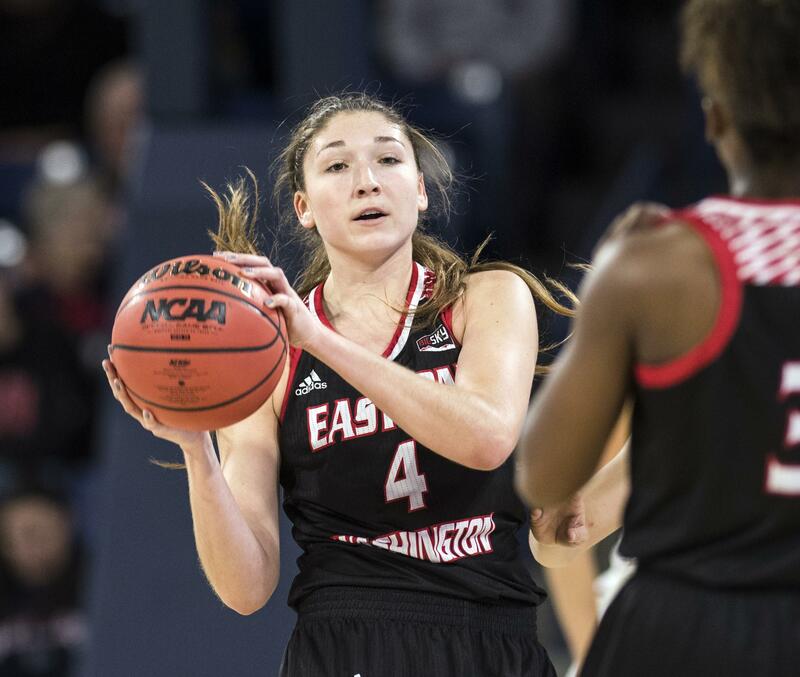 The Pasco native began her career as the 2014-15 Big Sky Freshman of the Year and ended her time at Eastern Washington as the all-time leading scorer with 2,120 career points. She is the first EWU player to eclipse the 2,000-point mark, which places her third on the Big Sky’s career scoring list. Hodgins appeared in and started all 129 games during her career, scoring in double figures in 107. This season, she accumulated a double-digit scoring streak of 27 consecutive games. She totaled more than 20 points in 17 games, more than 30 in four and more than 40 in one. She wrapped up her career with 15 double-doubles and 16 career double-figure rebounding games. “It’s a big week for Delaney. She signs a professional contract and is getting married. Wow,” EWU coach Wendy Schuller said. Published: July 31, 2018, 4:42 p.m.